Janet Suzman and former winners David Calvitto and Theatre Ad Infinitum are among the nominees for this year’s Stage Awards for Acting Excellence at the Edinburgh Festival Fringe. Now in their 19th year, The Stage Awards for Acting Excellence are the only honours for professional theatre presented by a national UK publication at the Edinburgh Festival Fringe. They include categories for best actor, best actress, best ensemble and best solo performer. 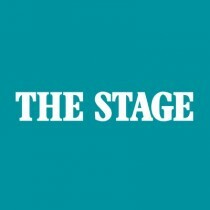 Nominations are chosen by The Stage’s Edinburgh review team, which sees hundreds of productions before making its choice. Of the main venue operators, Underbelly has taken five nominations this year, with Assembly and Pleasance receiving four, the Traverse gaining three nominations, and Bedlam two. Only one production received a multiple nomination – Solomon and Marion (for best actor and best actress). Meanwhile, among the nominees for best actor is David Calvitto, who has been previously both a nominee and winner on separate occasions. In the best ensemble category, company Theatre Ad Infinitum is also a previous Stage Awards winner. Fellow judge and critic Thom Dibdin said that “the team was impressed by the high quality of the nominations, and we could have filled our categories twice over”, while Natasha Tripney noted “the particularly strong showing from female performers”. Honour Bayes said that “performers are showing many more facets thanks to the increasing number of devised shows” and Gerald Berkowitz said “the team was also pleased to make discoveries from the most unexpected of places across the fringe”, with Lauren Paxman confirming that “it’s great to see smaller venues recognised for the high standard of work they are putting on”. The winners will be announced at an invitation-only ceremony at Dance Base, 14-16 Grassmarket, Edinburgh, on the evening of Sunday, August 25.